Whether you are purchasing a new, used or classic vehicle, with the advent of the internet, purchasing a car from a private seller has never been easier, but BUYER BEWARE. Thieves and Con-artist often uses these avenues as opportunities to take advantage of unprepared buyers. While many vehicles and private sellers are legit, some are not and may have you unknowingly purchasing a vehicle you will never really own or wouldn't have wanted. The vehicle may be stolen, have a lien, or have been savaged from a natural disaster. Victims of these crimes and situations are often left with little, if any, recourse, will never recover their investment. Many times they are referred to civil courts to resolve the matter. Below are some tips to avoid this. Become a prepared buyer- Know more than just what vehicle you want. Understand what should and shouldn't be on any vehicle you purchase. Know what features are available for the year, make and model of any vehicle your are purchasing. A simple online search of the vehicle will give you a multitude of information and give you things to look for when you examine the vehicle. Obtain the Vehicle Identification Number (VIN) of the vehicle prior to meeting- Once you have a VIN run a FREE VIN Check through National Insurance Crime Bureau. (NICB). NICB's VIN Check will check the VIN against a database of all vehicles reported stolen or listed as salvaged vehicle. Consider running a Title Check- After you have run a Free VIN Check, consider purchasing a Title check to see to confirm the title is clean and eligible for sale. There are fees for these services but in the long run could save both money and time if the vehicle in question is not one will you ever be able to legally own. Title checks can done through Service Arizona, the ADOT- MVD online website, for any vehicle registered in Arizona or the National Motor Vehicle Title Information Systems (NMVTIS) for any vehicle not registered in Arizona. Verify that the make, model, and year match that of the vehicle you are looking to buy. Talk to a person- Avoid any transactions that have you communicating only through private message, email or text. While much of the information can be communicated through these methods, you never really know to whom you are dealing with. Having even the briefest of conversations with the seller(s) on the phone will allow you the opportunity to get a feel for the transaction and whom you are dealing with. Ask for a Bill of Sale- This can be as formal or informal as you like, but request to have some sort of documentation in addition to a signed title, advising that a transaction has taken place. If the seller is only providing a letter, request the letter notarized, making it a legal document. Meet the seller(s) in a safe location.- Meet in a public location with a specific date and time for this meeting to occur. Share this information with a family member, friend or trusted co-worker before leaving. Avoid situations, where the location changes at the last minute or not revealed until after being required to make a phone call or text. If the caller tries to change anything about the meeting at the last minute, reschedule for another day or consider backing out. Recommend meeting at a police station or Motor Vehicle Division (MVD) office or at the Bank you have purchased the cashier's check or money order drawn, during normal business hours. Meeting at an MVD office can be advantageous to both parties as a notary will needed by the seller if they are willing to go into the MVD office with you to transfer the title. Question the transaction if seller is unwilling to meet at either of these locations. Let the seller know you will not be bringing cash, but will pay by cashier's check or money order if you decide to purchase the vehicle. Question cash only purchases, as they leave no paper trail. Also advise them that payment will not be exchanged until you have looked over the vehicle and documents. Be sure all numbers match. Look at the numbers on both the Vehicle Identification Number plate and the license plate and verify that that this number is same information on the vehicle registration and title and all supporting documents. Examine the vehicle- Put all that research you have done to good use. Make sure everything works, and those features that should be on the vehicle are to your satisfaction. Questions any after market additions and ask for supporting documentation of the work done. Vehicles overly modified, savaged, restored, or damaged may not be street legal. ***TIP** - If you are not confident about inspecting your own vehicle consider paying for an ADOT vehicle inspection at a designated MVD locations, where an Enforcement and Compliance Officer (ECD) will inspect the vehicle verifying both the VIN street worthiness of the vehicle. If the vehicle being purchased is an out of state vehicle, a Level I vehicle inspection will be require prior being allowed to be registered in Arizona. **NOTE** This service is not to be used in lieu of having the vehicle examined by a certified mechanic and only to be used to verify that the VIN on the vehicle is the actual VIN of the vehicle, was not modified or damaged making it unsafe to be on the road. Use Common Sense. If it looks too good to be true, it probably is! Trust your gut- If at any time you feel uneasy or the seller is being to evasive, back away from the transaction. You many not get the vehicle you wanted but you will not be a victim either. 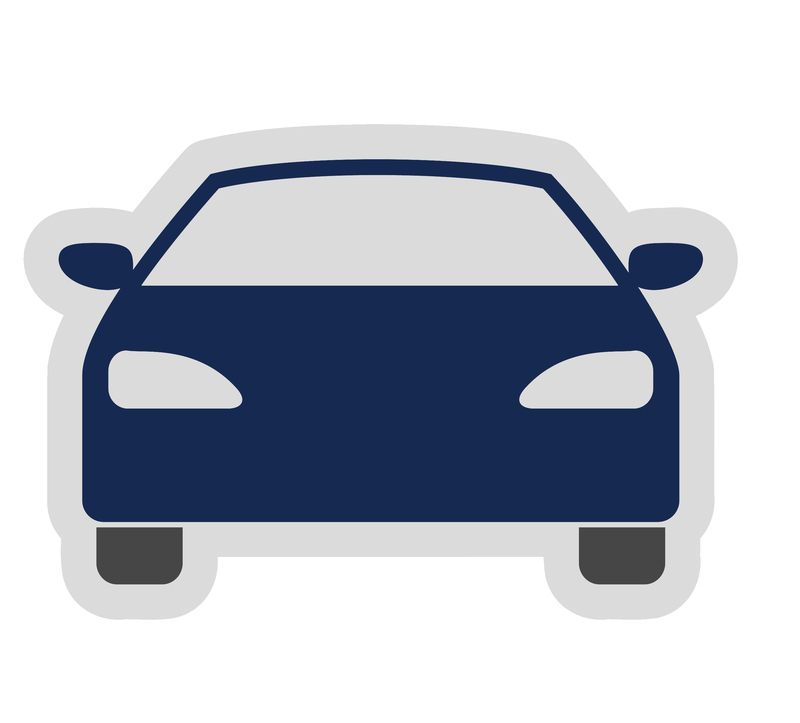 Register the Vehicle- Once you have determined the vehicle you are purchasing is a good purchase, REGISTER THE VEHICLE. Even if you intend to give the vehicle way, register the vehicle with the Arizona Department of Transportation adding your name to the history of "who" owns the vehicle. Titles can duplicated and or forged, and while it is an important document to have in vehicle ownership, it is not the only indicator of vehicle ownership, which is why we recommend registering the vehicle with the Arizona Department of Transportation. If your vehicle is ever stolen, and located, the police are going to contact the last registered owner of the vehicle and as long as the vehicle in your possession, you will want that person to be you!